As holiday season quickly approaches, schedules get jammed; family, friends, fourth quarter, travel, shopping, ice storms, snow tires, pneumonia. If you don’t plan ahead, you can miss out on a lot. One thing you do not want to miss out on is all the new fluid and foodie goodness settling in around the 6ix. With so much activity, this city’s cuisine scene can be a hard one to track. But we got you. On top of our nine fall restaurant recommendations, here are another 11 spots that recently opened their doors, or are just putting on their finishing touches, that you should definitely check out before holiday mayhem ensues. Chef Matt Blondin and The Food Dudes are at it again. This time they’re on Ossington (old Levack Block space) and they’re bringing you the creative comfort of a Southern snack bar. With plenty of room, several bars serving killer cocktails, and signature dishes like their Gaspe mussles on toast with cream corn, this is a perfect addition to their ever-expanding suite of great eats. Originally a hit only in Vancouver, this modern Kaiseki and sushi sensation is finally open at the bottom of Bay Street. 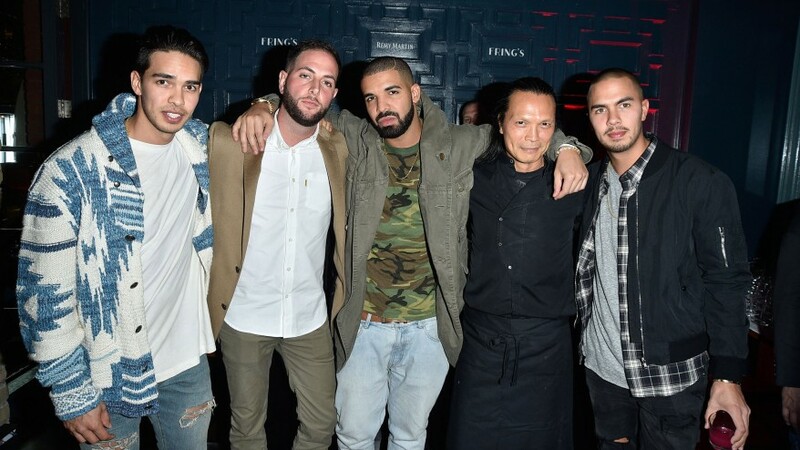 There is no shortage of artistry, originality and delicacy in T-Dot’s latest Japanese gem. A la carte, fixed price menus and ginger-infused cocktails are all awaiting your fall tastebuds. The latest addition on the Parkdale scene with a small, sharable menu packed with tasty snacks; smoked mackerel, swordfish crudo, calamari risotto and a seafood tower, to name a few. They also offer a great set of cocktails and craft beers. Little intro is needed here; they do about 10 different mac dishes and they do them well. Curry mac, buffalo blue mac, five-cheese blend mac and even vegan mac are all available for around $12 for the large portion size. Obviously, you want the large. Chef Michael Hunter, formerly running the kitchen for Reds Wine Tavern, is finally ready to run at 1454 Dundas Street West, taking over the old This End Up space with Antler kitchen and bar. The grand opening is this Friday, October 23rd, “celebrating regional ingredients” and featuring a “forest to table” cocktail program (tree bark and berries used for their home made infusions and syrups). Space is limited and this DuWest stretch is getting hotter by the day, so best to get on those reservations. Espresso, dessert, soft-serve. Their Instagram page already has over 10,000 followers, and for good reason – their stuff tastes and looks amazing, from their ice cream bars to their croissants to their Nutella-doused sundaes. A full-blown religious experience? Maybe not. A welcome post-dinner addition to the entertainment district? Definitely. Rock Lobster east is out, this place is in. Here you’ll find well-priced snacks like mac ‘n cheese balls, short-rib poutine and Thai chicken nachos, as well as a standard set of mains covering the essentials: salads, burgers, pasta, etc. If you’re into hip-hop, good food and a casual cuisine bar vibe, definitely check out this address. What started as a weekly snacks pop-up quickly turned into a back-of-the-bar fixture, which was then converted into a Kickstarter campaign by Chef Rouge, which after raising $40,723 (past their “stretch goal” of 40K) from 453 backers is now about to be its very own restaurant at 620 Queen Street West. The pop-up’s revolving menu included items like pickled whitefish, charred broccoli, Mexican chorizo, smoked bone marrow and salted chocolate fudge. Expect a similarly inspired selection when renovations are finally wrapped up. You can follow Chef Rouge on Instagram here. After rolling with the Buca crew, Chef Danny Hassell is teaming up with Montreal chef Joseph Awad of Au Pied De Cochon and Sugar Shack to open a nose-to-tail modern speakeasy in the Templar Hotel. They plan to launch the two-storey space in November, offering a meat-centric sustainable menu and a cocktail program fit for a connoisseur.